'Black & White' is a Nourbel & Le Cavelier seasonal collection. The relaxed nature of the dark gold makes the pieces extremely versatile and easy to wear as they translate beautifully from day to evening. The black colour gives an art-deco and dramatic feel to the collection. 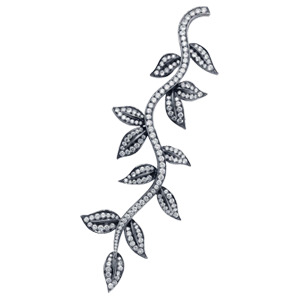 The extra-white diamonds are finely mounted on 18K gold. Each individual creation is one-of-a-kind. It is a unique collection exclusively designed by Nourbel & Le Cavelier.